What would have happened on that hot August afternoon had a social worker come upon Michael Brown on Canfield Avenue? What if a social worker saw Eric Garner selling loose cigarettes in the Tompkinsville neighborhood of Staten Island? My hunch is that they’d both be alive today. I went to the Occasional Planet’s Director of Plain Speak who said that what it means is a cop with a heart. Well, there’s probably more to it than that and we don’t wish to imply that most cops do not have a heart. 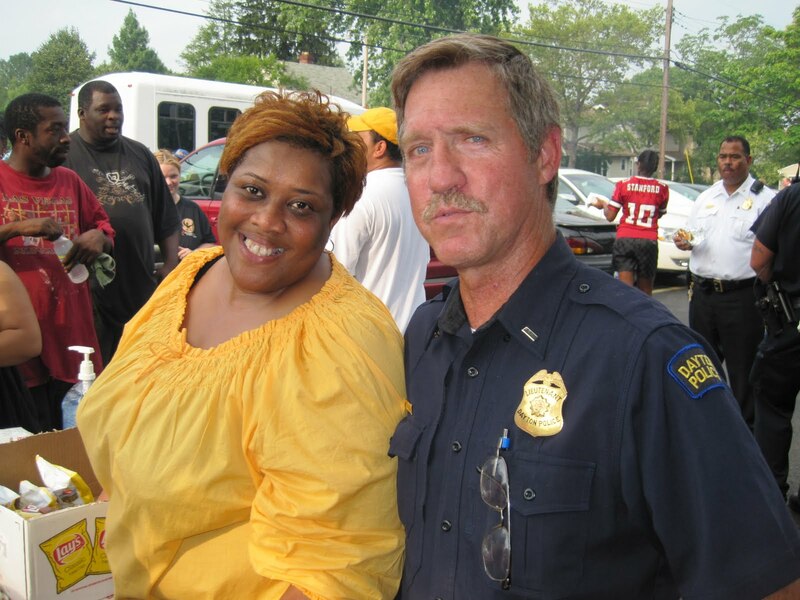 An effective community police officer has much the knowledge of a social worker, such as what approach to take when an individual or a group of people are truly upset about something. It’s also someone who can brainstorm solutions to seemingly difficult situations. Whether you’re on the “mean streets” of the inner city or closeted away in the hidden lanes of the farthest suburbs, there is essential work that community police officers can do. We do have examples of community policing, in both our actual history and fictional history. Remember the beat cop that actor Sean Connery played in The Untouchables. He was a guy who would befriend you on the street, but when necessary bop you upside the head with his night stick. Think of how we are now most likely to encounter a police officer. It’s the speeding police car coming to the scene of–something, and they often seem to be loaded for bear. 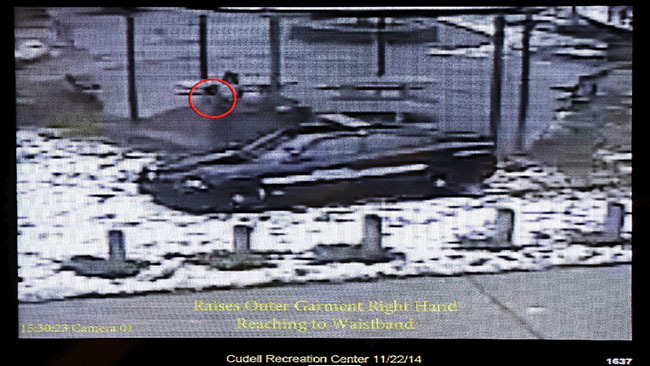 The grainy image below is the car in which two police officers in Cleveland arrived at a park to encounter a boy with a toy gun. Had there been one or two community officers walking the beat near that park in Cleveland, it’s likely that they would have cautiously approached the boy and then called out to him, asking him what he was doing. The kid might have run (in which case he’d still be alive), or he could have engaged the police in conversation, particularly if he knew them from the neighborhood. If the “system” that we have for policing is flawed, then perhaps it has to do with those whom we recruit to become police officers, and how we define their jobs. We need to recruit individuals who have a more holistic view of society, rather than one limited to dividing us into “good guys” and “bad guys.” We need people who see their role as being arbiters on the streets of their community. We need people who represent the best of our societal values to the many varied kinds of people whom they encounter. These ideas are not particularly new; they’re just ones that were frequently thrown in the trash heap during the era of a singular focus on law and order. When the primary representatives of “we the people” who interact with citizens are solely hell-bent on keeping law and order, we should expect more than occasional miscarriages of justice. If Ferguson, Staten Island, and Cleveland have taught us anything about policing, it’s that we need to thoroughly re-think it. Let’s start with community policing. Previous Post:After Ferguson: Who makes the rules?